All over the world, fairy tales are told. There are big fairies and little fairies. Ugly fairies and pretty fairies. Wise fairies and silly fairies. Sweet fairies and scary fairies. Twenty authors share their own fantastic fairy tales in this magical collection. What kind of fairy will you meet here? 5.0 out of 5 starsGreat collection of modern fantasy! 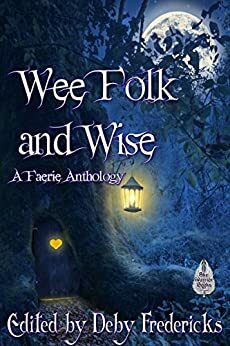 Wee Folk and Wise is a collection of short stories and poems reexamining the tales of the Old World fair folk – fairies, elves, goblins, giants, ogres, sprites, pixies, elves, selkies, etc. Everyone’s here to play – and this time round, it’s a modern day sandbox, and seeing how magic mixes not just with today’s modernity, but also times like WWII England, 1970’s California, the end of the Neolithic period, the far future, and more. Cesrnica takes the tale of 'Diamonds and Toads' and extends it to see exactly what kind of ending each sister would get. Both sisters find themselves in terrible situations, just of different types. But, yay for sisterhood, one reaches out to the other, and together they manage to make magic finally work for them rather being everyone else’s pawns. A haunting poem about those who roam at night and worship moonlight might have reasons far more solemn than just delighting in nocturnal beauty. Johnson packs a lot into a few sparse lines. You think humans are the only ones with trashy reality TV? Thorogood presents Earth-Ogres, a hugely popular show amongst ogre kind, with thousands tuning in to watch a ridiculous free-for-all contest show to see the contestants duke it out for honor and glory. All of the contestants are great to watch in their single-mindedness, but it really gets hilarious when they start to literally bounce off each other in the final showdown in a rapid-fire POV switch leading up to the unlikely winner. Dark, dark, dark fantasy about the pain of being in any way different at school with a lot of overtones of magic and an interesting undercurrent of science fiction. 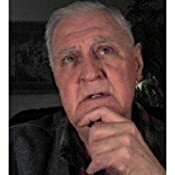 Guizzetti tells a horror show of pain punctuated by how much of it is pain not caused by monsters or curses, but by the pain we inflict on each other and ourselves. Penha retells here the Indonesian version of the selkie tale. The style was beautiful, both emulating and mocking the Arabian Nights style of storytelling. Penha gives wonderful descriptions in a humorously dry fashion of the emotions as the two main characters play out the inevitable disaster of a human trying to control everything. In Irish legend, Death comes to collect your soul with a fancy horse-drawn coach. Ah, but what if Death were to… leave the engine running, so to speak, when he got out to collect the soon-to-be dead? Poots presents a Grim Reaper who is going to do his duty – and not take it kindly if anyone tries to get in his way. Young Tom, determined to help the one person who’s shown him kindness, goes on a wild joyride through the streets of Belfast one night in an attempt to help someone outrun Death himself. An interesting poem in which Wiseman examines the magic to be found in everyday objects and how the symbols of the concept of ‘home’ can be just as magical as any spell. A humorous take on a Cyrano de Bergerac – this time with giants and fairies, instead of a bunch of mopey Spaniards. Timmins’ giants are not the fearsome creatures you might expect, with one too afraid to talk to a pretty giantess. So his brother goes a-wooing on his behalf – and it all becomes rather more of a hassle than they bargained for. Fairies on a space station! The story has the same feeling of turning on the TV and watching episode six of season three of a show you’ve never seen before, but knowing it’s a sci-fi show like Deep Space 9/i> or Babylon 5. It’s good – but you are also in the middle of these characters’ lives and clearly quite a lot has already happened. However, that’s not important because Bentley gives enough background to work with, and on today’s episode, we get an excellent science fiction version of the legends of pixies and fairies. An update on the old story of Big-Sister-Rescuing-Baby-Brother. For a twist, Grey’s version of the archetypical Big Sister, Casey, has already spent some time kidnapped by the Fair Folk and no way is she going to let them put her baby brother through the same saccharine torture. However, Casey has the twin hurdles of grownups that don’t believe in fairies and her brother constantly challenged by his autism to feel his way through any world, ours or the fairies. Luckily, there are awesome horses to the rescue! Nazis vs. Pixies. Best described as an R rated Bedknobs and Broomsticks; Martin serves up a great little story about what happens when modern military might comes up against ancient magic. And when the magical creatures involved have a fondness for the land being invaded – well, it’s no contest, is it? Two teenaged sisters on vacation in Ireland get much more in touch with their cultural heritage than they bargained for when they run into a trio of boys who turn out to only look like human, but are far older and crueler underneath their beautiful façade. However, Cooley shows that big puppy eyes and carefully tousled locks can’t compete with sisters who look out for each other when one gets in over her head. Angels and fairies hang out at the same celestial coffee shop, both enjoying caffeine, with the fairies wildly enjoy the sugars and creams while the angels patiently resolve not to indulge. Milbrodt is very Pratchett-like in her approach to how non-humans might enjoy off-hours or mope through unemployment, which the fairies experience as more and more humans stop believing in them, which takes all the fun out of playing tricks on them. The angels still have some belief, but not quite as much, and things are getting down right depressing until both sides realize you don’t need belief to do some old fashioned meddling – but on a global scale. 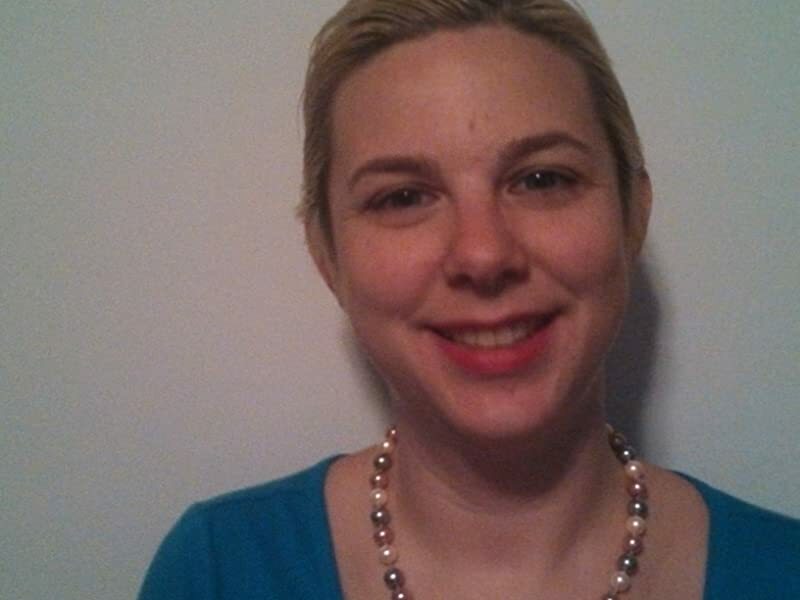 The ending will make you laugh – and leave you feeling a nauseous. The entire story reads as the build up to a joke that is told dryly, solemnly, but knowing the teller is going to lead up to a hard twist of a punch line. And wow does Ward give us a twist at the end – so hard a punchline you feel a bit bruised, but you’re still laughing. A selkie story set in 1970’s California. Adams’ version of the legend reads like the beginning of a magical realism novel, suggesting that underneath the groovy scene of California in the Vietnam era, there could have been a whole other layer of weirdness going on. The issues of a mixed marriage of human and selkie reads uncomfortably like a lot of marriages the children of divorced parents probably lived through in this time period, complete with examples of shocking sexism like the father threatening to take the mother’s driver’s license away. Like many stories set in this era, our main female characters aren’t feminists, but a reason for feminism, as they say. Magic meets gender politics, and the inevitable tragedies of not granting others respect. As the humans leave the Neolithic Age behind and start doing these wildly new radical things like farming and building houses, all of the magical creatures wonder what this means for them as the humans figure out metal tools and weapons and learn not to die so much, rapidly increasing their population. The magical folk decide a good offense is a good defense, and things get rather heated from there. Frishberg and Vick make a good argument for how far back some divides can go. Also, an excellent showcase of all the deities, creatures and magical races of Celtic legend. High Fantasy meets Golden Age Comics – an inspired combination that surprises, and then works very well. Stewart pulls off an impressive writing style trick as the Lord-of-the-Rings style highfalutin language shifts gears sharply into the pulpy, Dieselpunk style of Captain-America-punching-out-Hitler, playing out here with an irresistible charm as magic meets mid-20th century science-fiction. And the character of Karen could teach Lois Lane a thing or two about how to handle bad guys! Liz has spent her 20’s bartending and being the life of the party. However, she’s gotten the sudden realization she’s too old to keep acting, dressing, working, and partying as she has been, and is desperately eager to leave her old life behind and become a very prim and proper office worker and prove to the whole world she can adult with the best of them. Too bad that tattoo is a permanent reminder of that old lifestyle. And some memories refuse to be stuffed away, consigned to the dark. Wilson offers an excellent parable on the perils of living too much to one extreme or the other. 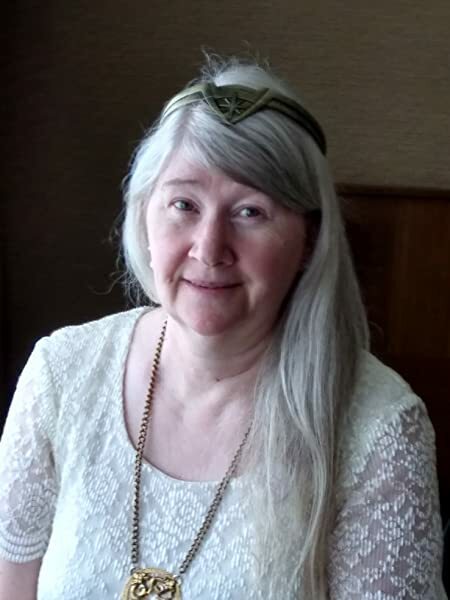 Ford’s story finishes off the collection with a story that is lyrical and dreamy – and at the same time has a sharp Elfpunk feel to it as the main character journeys into the very heart of modern dangers. A dryad follows a single cry for help across all sorts of lands, despite warnings every step of the way, to try and bring rescue to something thought lost forever. 5.0 out of 5 starsNot enough faerytales for you? 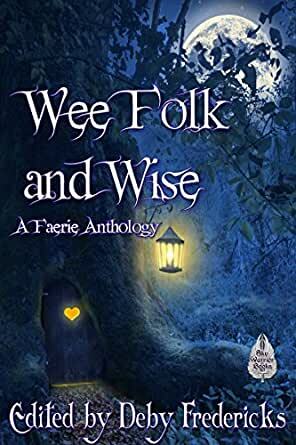 There's something here for everyone in the twenty-one tales collected here, from resolutions of classic faerytales which did not end quite as happily as one might have hoped to brand new stories about faer folk interacting with the modern-day world in their own unique and mysterious ways. If you like them dark, you've got some serious enjoyment. If you prefer humor, you'll have that as well and don't be surprised if the opposite end of the spectrum from your usual pleases you. We even have the fae folk reaching out into the future and space stations. Overall, the quality and editing is excellent and the stories will have you intrigued. Hopefully, there will be a second volume of this series. It's a concept that is well worth continuing. 5.0 out of 5 starsBack to the lovely world of dreams. Varied, modern and magical. I enjoyed that the stories created feelings and thoughtfulness. I highly recommend this book to anyone.